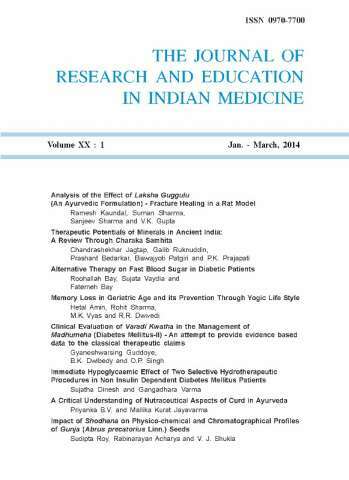 Authors submitting their articles to Journal of Research and Education in Indian Medicine, have deemed to have transferred their copy right to JREIM, up on the acceptance of its publication in JREIM. Authors however retain the a limited copyright of their article. Authors are however not allowed to republish the same article in any other media without citing properly that the article is originally published at JREIM. The finally published article as it appears on the journal's website may also be posted at personal blogs, university and institutional websites or on personal websites with proper citation referring to its original publication at JREIM.